Measure the small changes in force that affect part quality and your bottom line! The quality of any formed, blanked, coined or stamped part is directly related to the forming force applied to it. 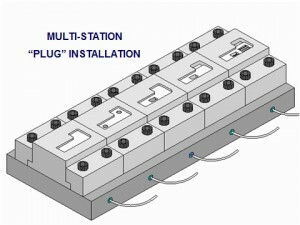 Our in-die systems include the monitoring techniques required to accurately measure and control the forces developed at each sensor location. Helm systems ensure consistent part quality production while guarding against costly tooling damage and machine repair. 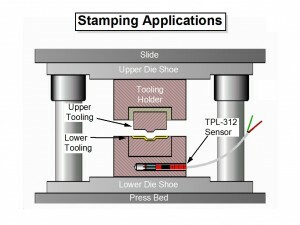 Helm offers precalibrated, custom designed load cells fit to your unique tooling. 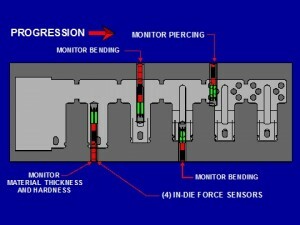 By applying force sensors beneath critical tool stations Helm sensors are able to capture the individual force signal while also maintaining individual multi-station tool force signals. No field calibration is required. The Helm Die plug sensor is the ideal sensor for in die general purpose monitoring and commonly paired with the Helm loadgard monitor for high speeds of up to 1,000 SPM. The Typical applications include transfer tools, progressive dies, and can end tools for Hole piercing, staking, and riveting. 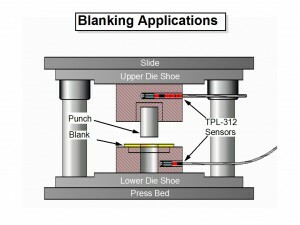 Designed for high speed light load applications including high speed progressive dies and coldforming operations the piezoelectric dieplug solution may be paired with the Helm piezo Partgard / Multigard Monitor for speeds up to 2,000 SPM. Helm offers multiple sensor indicators ranging from 1-6 channels of strain gage input. Each signal conditioning unit provides independent channels of strain gage input with high and low alarm setpoint capability.